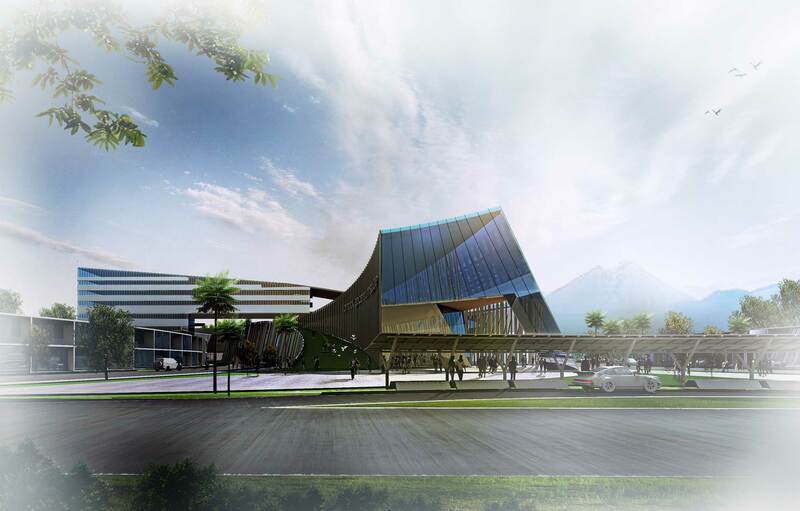 NTB Epicentrum, is contemporary shopping mall situated in Mataram, Lombok. Kind propose a unique shopping experience with an interesting shape and material selections to create identity for each zone. The mall façade and canopy are playfully expressed as fabric with local BATIK pattern. Indoor and out door shopping experience were introduce to visitors along the corridor.